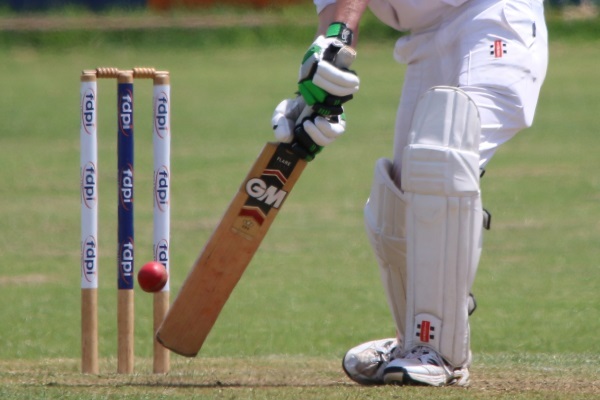 A trip to Quantong on Saturday has seen the B grade Blackheath-Dimboola cricket team put themselves in a strong position after the first day of a two day game, and a good result for the C grade team has seen them continue to consolidate their place in the top four. An opening partnership of 29 followed by a 102 run second wicket partnership between Harry Young (48) and Trent McGough (59) set up a total of 183 for the Blackheath-Dimboola B grade team, despite the loss of the last eight wickets for 39 runs. Opener Sam Polack and number four batsman Brodie Cramer also contributed 15 runs each to be the only other batsmen to make double figures. Quantong Bowler Nathan Robinson took six Bulls wickets. After having to face two overs at the end of the day, Quantong finished with two runs on the board and all their wickets still intact. When the game resumes next Saturday, the incentive for the Bulls will be that a victory will almost assure them a place in the finals, and could set them up for a serious crack at a place in the top two as they will meet the bottom two teams in the final two rounds. The C grade team enjoyed their first win on the Les Howland oval when they registered a comfortable 45 run victory over Laharum, and in doing so have further consolidated their place in the top four. After being given the opportunity to bat first, the Bulls started strongly with 66 on the board when Chris Hauselberger was the first wicket to fall after he had contributed 39. Another half century partnership followed when Philip Merrett (10) joined opener Peter Frecker and put on 52 for the second wicket. In the middle of the innings, and Mick Polycarpou contributed 20 and Luke Hutchinson and Col Campbell both added 19. When he was the last man dismissed, Frecker and made a solid 55 and had anchored the team’s total of 195 in just under 39 overs. Wickets fell regularly in Laharum’s innings, with only two partnerships over 30 but five of less than ten, including the loss of the last four wickets for only nine runs. Three wickets each to Jordy Laverty and Polycarpou and two to Hauselberger were the major contributions to restricting Laharum to 150. Malcolm Barry and Hutchinson shared the other two wickets. This victory has placed the Bulls in third place on the C grade ladder, equal on points but with a superior percentage to the fourth placed Laharum, and there is now a nine point buffer back to the fifth placed Horsham Saints. With three of their last four games against the three teams outside the top four, the team is putting themselves into an ideal position to remain in finals contention or even move further up the ladder before the end of round 18. Next week they will host Horsham Saints on the Les Howland oval which gives them the ideal opportunity to further increase the gap back to the teams outside the top four.